Residents or interest individuals are invited to attend the drop-in event hosted by the university. The event will take place on Wednesday 24th October, between 4-8pm, at the University of Birmingham Edgbaston Park Hotel on Edgbaston Park Road. IT will provide an opportunity to discuss the plans with team over a hot drink, and ask any questions you might have over their proposals. 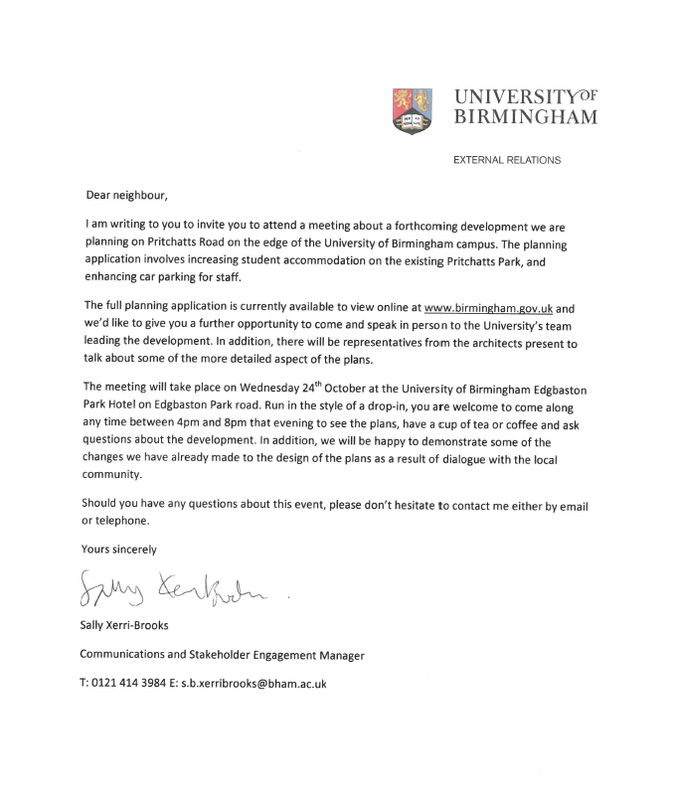 For more information, please get in touch with the university's Communication and Stakeholder Engagement Manager, Sally Xerri-Brooks, at: s.b.xerribrooks@bham.ac.uk, or on: 0121 414 3984.